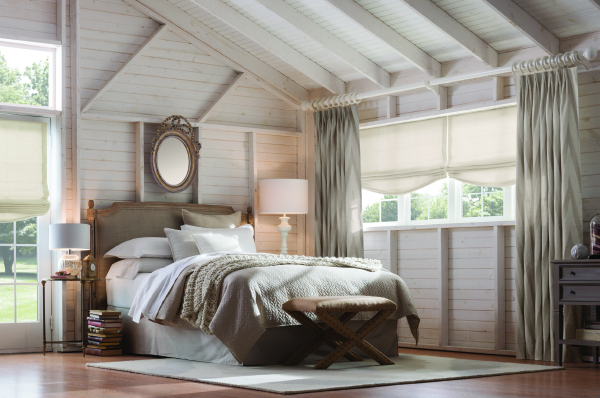 Fresco Roman Shades offer a pared-down selection of fabrics and feature streamlined elegance with smooth, easy shade operation. 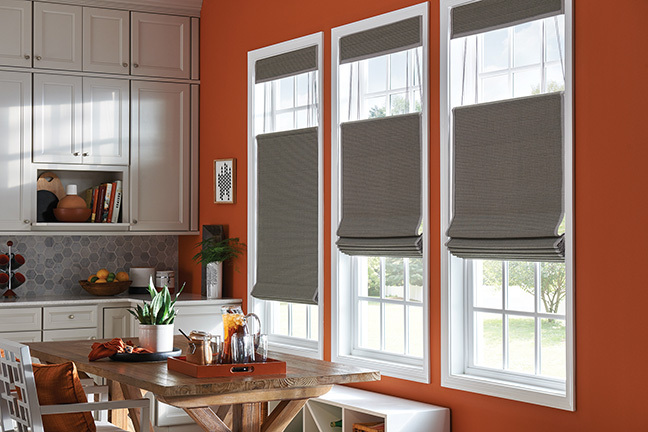 When your windows need a clean, contemporary shade, Fresco Roman Shades by Graber, are the ideal accent. 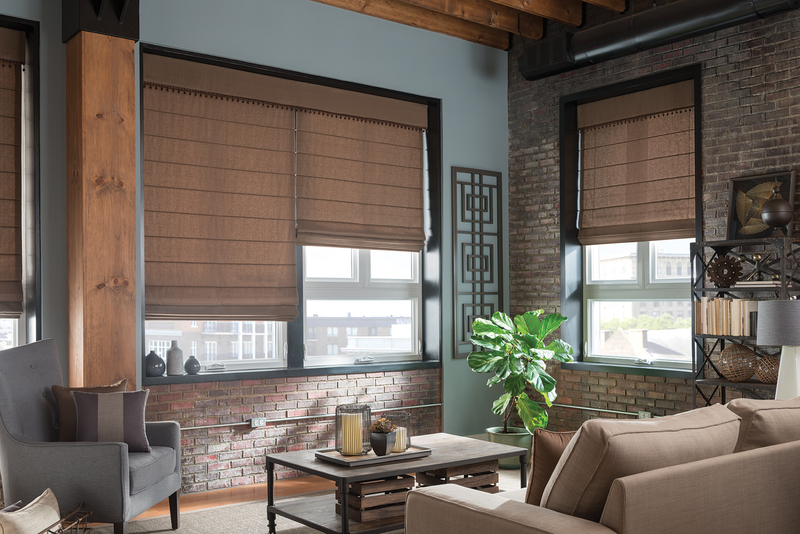 The Fresco Roman shades are available in corded, cordless and motorized operation, and have the versatility of bottom up top down operation with corded control. 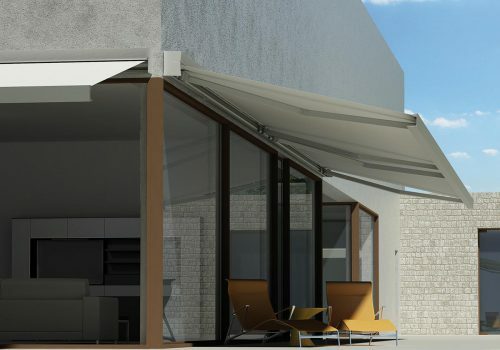 Fresco Roman Shades can be motorized with a new wave of technology. 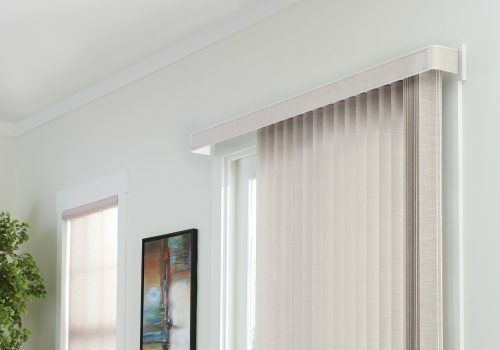 These motorized blinds allow us to directly connect to smart home hubs via z-wave technology. 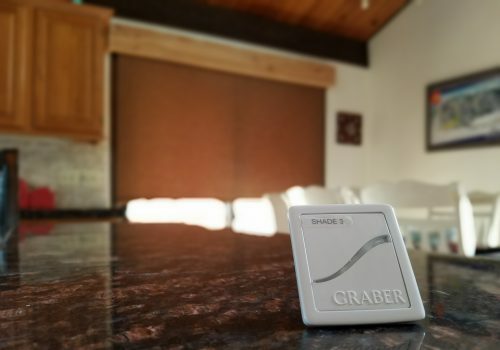 This means you can now have the convenience of motorized blinds and home automation at a fraction of the cost of other systems. You can set timers, scenes and even control your window treatments through voice command with Amazon’s Echo Alexa or the Google Assistant. Roman Shades have the ability to have the bottom up top down operation. 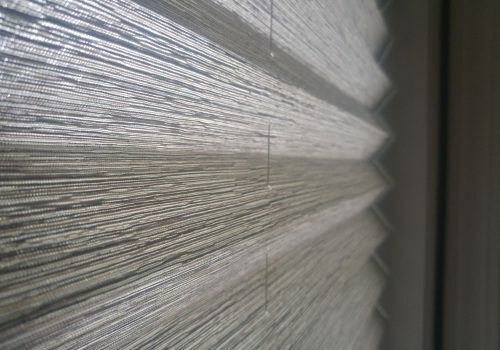 This allows you to raise the blind from the bottom and lower it from the top, giving you the ultimate control over the amount of light and privacy you want in your home. 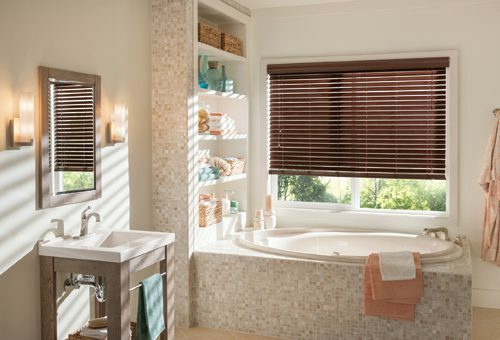 For this particular window treatment this control option is only available with the corded operation. The art of interior decor can be simple or complex and when it comes to dressing up your windows it is no exception. Depending on your overall style goals you can add extra depth and soften a room by layering your window treatments. 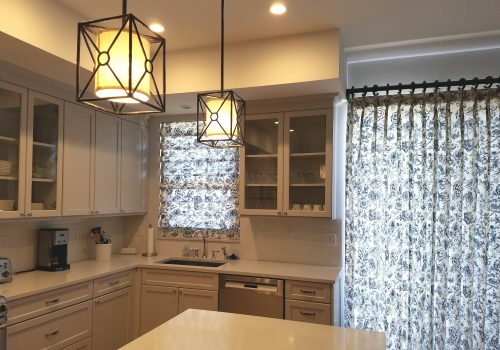 Start with the blind or shade you want to cover the window, then add the extra flare with top treatments or a subtle touch of coordinated pillows to compliment your home decor. 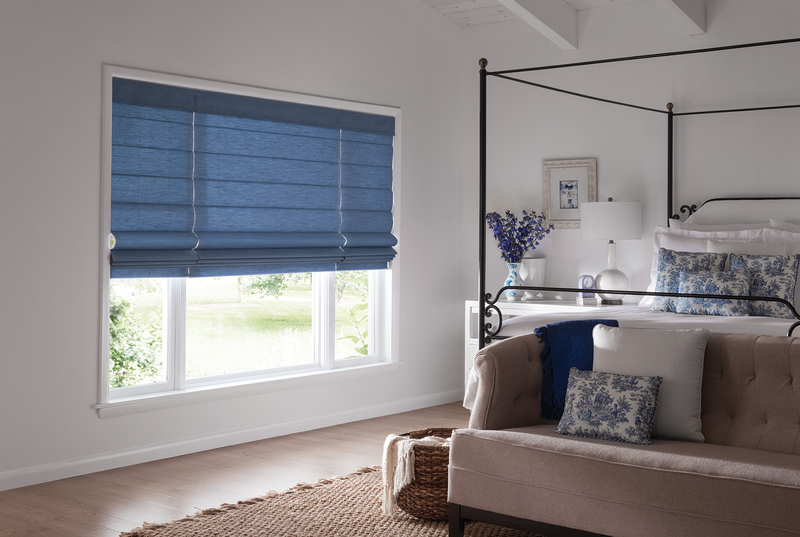 We provide a great number of top treatments, and draperies to pair with your roman shades.